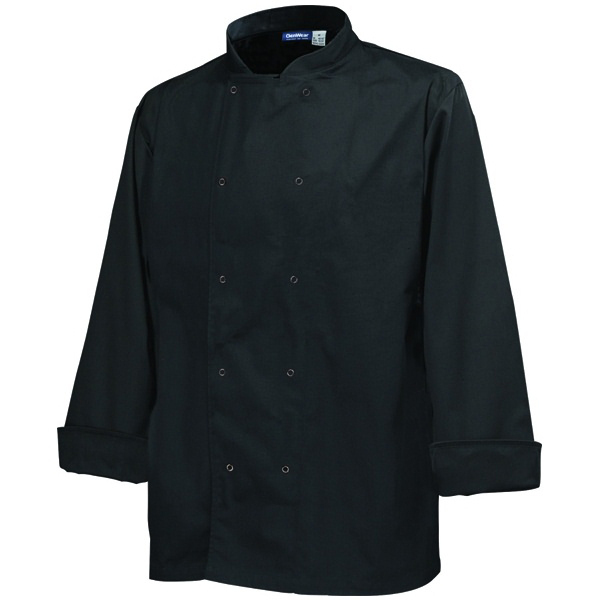 The Chef's Basic Stud Long Sleeve Jacket is vital for commercial kitchens. 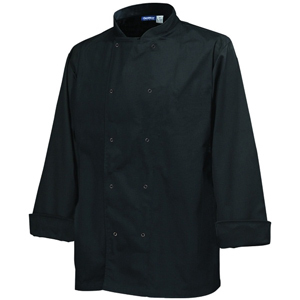 With a professional chef's jacket, press stud fastening make for quick changing. A practical black finish and ultra soft polycotton offer comfortable wear and easy cleaning.